Union Minister Arun Jatiley on Sunday launched a veiled attack at Congress vice-president Rahul Gandhi saying he should maintain the dignity of the position he is expected to be accorded with. SURAT: Union Minister Arun Jaitley on Sunday launched a veiled attack on Congress vice-president Rahul Gandhi saying he should maintain the dignity of the position he is expected to be accorded with. Jaitley, who was in Surat to attend “Mann Ki Baat: Chai K Sath” Programme, said that the Congress is campaigning in Gujarat on anti-development agenda. “When a person is given a higher position then he should maintain its dignity. But some people have not learnt this,” he told media. The Union Minister also slammed Rahul for criticising Gujarat model and said development in India and Gujarat has earned global appreciation. “The development in India and Gujarat under Prime Minister Narendra Modi ji leadership is being globally hailed. 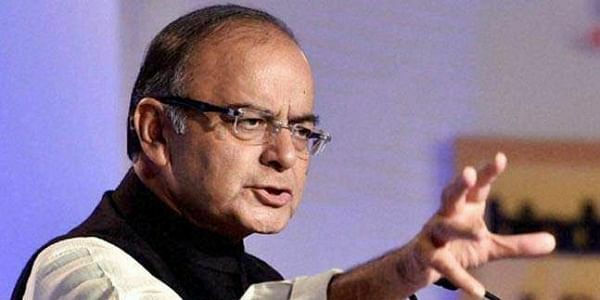 The truth will not change if the Congress campaigns on the basis of false facts,” Jaitley added. He also expressed confidence about the BJP sweeping the Gujarat polls. “Gujarat is a very important state for BJP. Here since 22 years BJP is ruling. It is natural that we will put all our efforts to win,” he said. With the Gujarat election date inching closer, campaigning is in the poll-bound state is in full swing.